One of the Most Popular Football Tournament of Fifa world cup has been schedule to Played in Russia from 14th June 2018 and All the Soccer fans can enjoy this mega sporting events through various Official TV channels and Broadcasting Network. India who is not qualify for the World cup 2018 but so many Indian football fans are don’t want to miss out this Russia world cup events. That’s Why they searching about Fifa Football World cup 2018 Schedule and Fixtures in IST time. Total 32 Teams who are take participate in this Russia World cup 2018 which is kick off from the 14th June at Luzhniki Stadium in Moscow, Russia. Total 64 Matches are played in This Mega Events of 21st Edition of Fifa world cup. 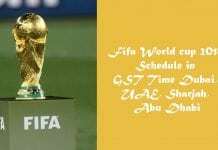 2018 Fifa World Cup Complete Match Schedule in Indian Standard Time (IST) is announced. This is the 21st edition of FIFA World Cup, which will be hosted by Russia. All the matches are schedule from 14th June to 15th July 2018. This is biggest soccer carnival in world contesting in every fourth year. 2018 year’s most important sporting event FIFA World Cup has been scheduled to take place in Russia and it will be enjoyed and viewed all over the world through various tv channels and broadcasting networks. Indians are also lover of football game and love to watch world cup 2018 although their national team is not a part of main event. 32 national teams, selected from members of associations of FIFA will be participated in 2018 FIFA World Cup. There are total of 64 matches in 2018 FIFA World Cup. This time football lovers in India, will not need to wait late night for matches as Russian timing is compatible to Indian Standard Watch. According to Indian Standard Time (IST), 2018 FIFA World Cup Match will be started on 14th June 2018. Hosting Nation, Russia will play the first on opening day at 08:30pm Indian Time. Indian Standard Time (IST) is +5:30 GMT. 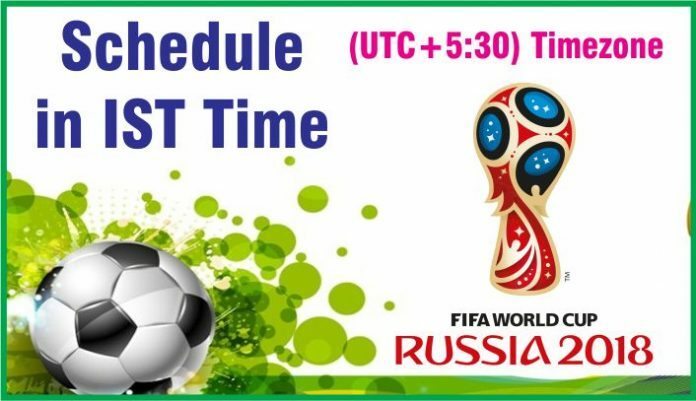 We know there are a lot of football crazy fans in India and they want to enjoy the FIFA World Cup 2018, but as the world cup is in Russia there will be a slight bit of difficulty in finding the match timings. So here we are for you, we will provide you the Match Schedule of FIFA World Cup 2018 in Indian Standard Time (IST) for all the 64 matches so that you never miss a match. Russia is a country with many different time zones. The Matches in Russia will be played as per UTC+2, UTC+3, UTC+4 & UTC+5. The Indian Standard Time is UTC+5:30 hence we converted the timing of all the matches in UTC+5:30. A total of 12 venues in Russia have been approved by the FIFA technical committee to hold 65 matches that would be played throughout the tournament. The opening ceremony is set to take place at the Luzhniki Stadium in Moscow. FIFA has also decided to keep VAR (Video Assistant Referee) technology at the World Cup and in the process marking the 2018 event as the first FIFA competition to use the highly debatable video assistance. Wolf Zabivaka designed by student Ekaterina Bocharova has been chosen as the official mascot of the World Cup 2018. When Russia won the bid to host the 2018 event back in 2010, it was the first time in its history it had won the right to host a major football tournament. Hence the main theme of the cup is the things Russia is famous for which includes Matryoshkas and folk patter, cosmic outer space explorations as well as the folk motives featuring Firebirds. Let us have a quick glance at the schedule of the FIFA World Cup 2018 with match dates and timings given in Indian Standard Time (IST). The Opening Match will be played on June 14, 2018 at 08:30 PM Indian Time between Hosts Russia and Saudi Arabia at the Luzhniki Stadium in Moscow while the final match of the 2018 FIFA World Cup will be played on July 15, 2018 at 8:30 PM Indian Standard Time. 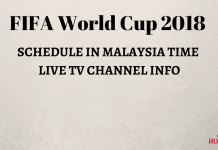 After the success of our previous post, FIFA 2014 World Cup Schedule in Indian Standard Time, We created a useful schedule, Match calendar of FIFA 2018 World Cup in Indian Standard Time. Stay tuned with us for the downloadable JPG, PDF formatted World Cup Schedules. Because of the 70K peoples views to that post, indiancrux.info planned to create complete match schedule of 2018 FIFA World Cup, Hosting in Russia, in Indian Standard Time. We found that so many peoples from India were searing in internet for “World Cup Schedule Indian time“, “FIFA 2018 in IST“, “Fifa 2018 Schedule in Indian Time“, “2018 World Cup Schedule in Indian Time“, “2018 World Cup Schedule in PDF Format“,”Downloadable PDF Schedule of FIFA 2018“,”FIFA schedule in Indian Time“,”2018 World cup fixture in Indian Time“, “2018 FIFA World Cup Schedule Excel File“, “2018 World Cup Schedule in Excel Format” and etc. Because of these huge search query from India, Indiancrux.info started writing all sports schedule in Indian Standard Times, since 2014 FIFA World Cup. Once the teams are finalized in each group after the final draw you will be able to download the Match Schedule in PDF which you can save on your computer to check the timings. The other thing you can do is bookmark this page in your browser. The above schedule is also helpful for fans from Sri Lanka as they also have same time zone i.e. UTC+5:30. Please share this article with your friends and family. 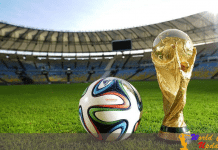 Sony Network is the officially broadcast the Fifa world cup 2018 Live Telecast and Coverage in India Country on their Channel of Sony Ten 2, Sony ESPN Channel while online users enjoy the Fifa world cup live streaming in India on Sonyliv.com websites.